Sometimes taking a look at how people in other countries decorate is just the inspiration we need to try something fresh and different! 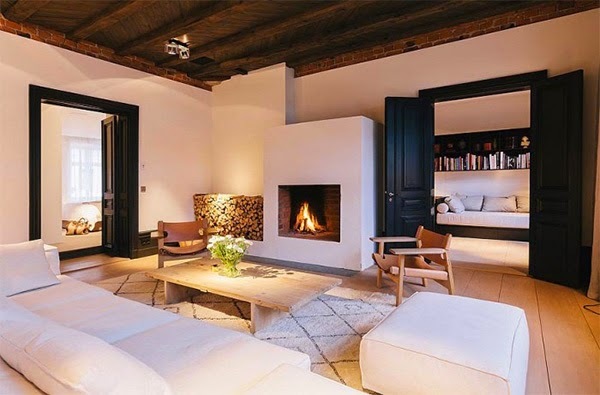 Take a look at these inspiring spaces abroad. The beautiful, bright green in the Oslo restaurant above is both upbeat and relaxing at the same time. Below, the Stockholm living room is the epitome of understated, Scandinavian luxury. 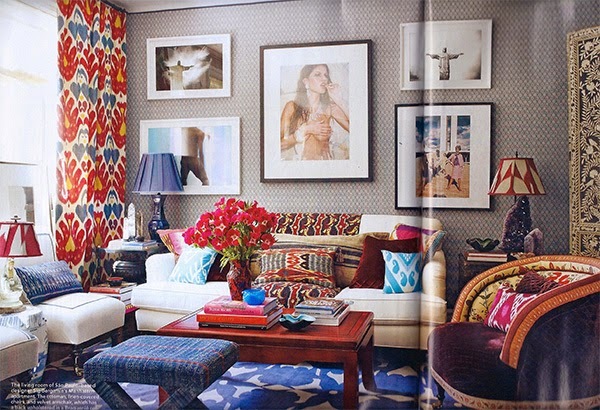 You just can’t go wrong with Ikat. I am loving the mixture of prints! 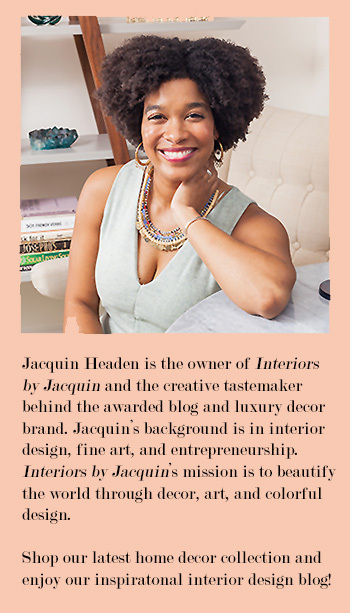 This space definitely inspires me to mix and match different prints and textures to create a global, eclectic look, which happens to be one of my favorite styles. I hope you guys are starting to get some ideas! This is truly a unique home! 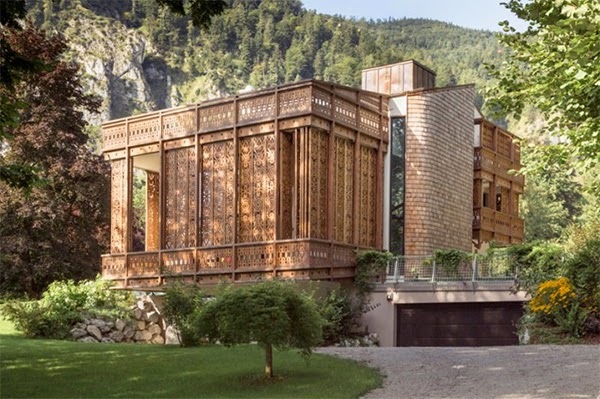 I’m sure this Austrian home is the gem of the neighborhood. I can honestly say that I haven’t seen anything like this – ever! 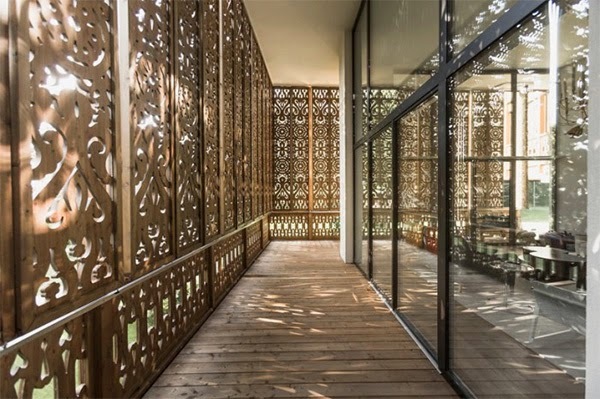 These wood, cut-out walls create beautiful shadows at various times of day and allows the outside sunshine to shine in. 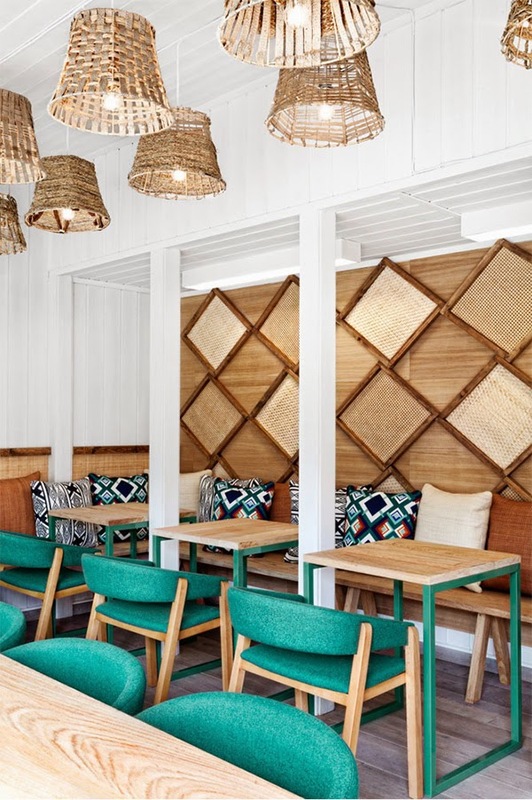 Check out these Brazilian designed spaces! So colorful and artistic. 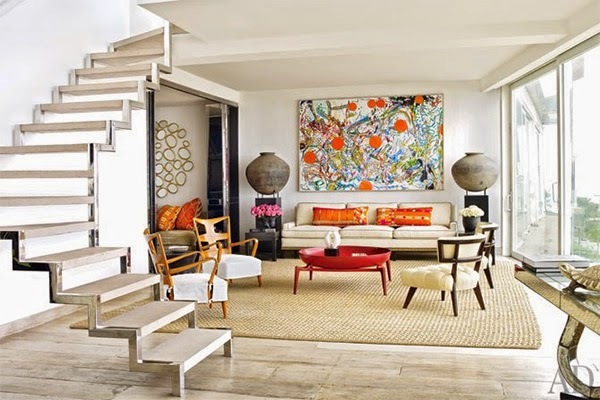 These rooms (above, below) really illustrate how impactful original artwork can be in a space. 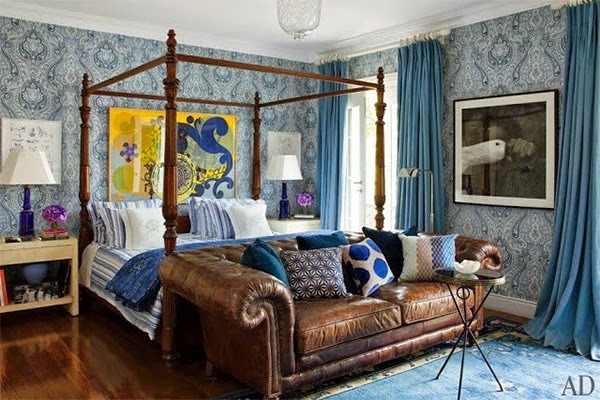 It gives the room a personality that is totally individualized. Inspired yet? Which space inspires you the most?